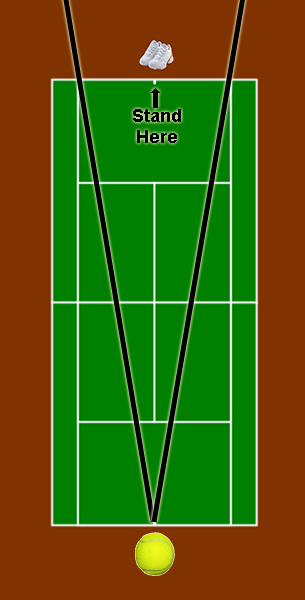 As mentioned in the introduction section a player must stand in the middle of the potential range their opponent can hit the ball. This is simple because no one is a mind reader. 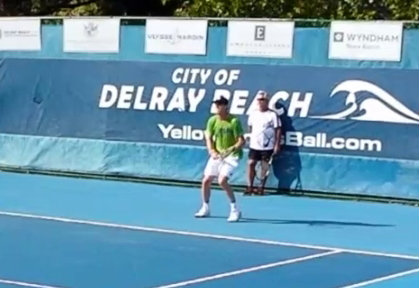 No one knows for sure where their opponent will hit the ball until after they have hit it. By standing middle of their opponents potential range they have the greatest chance of returning the next shot no matter where it is hit. This means that where you hit the ball will determine almost 100% of the time where you should position yourself in order to best retrieve the next ball. 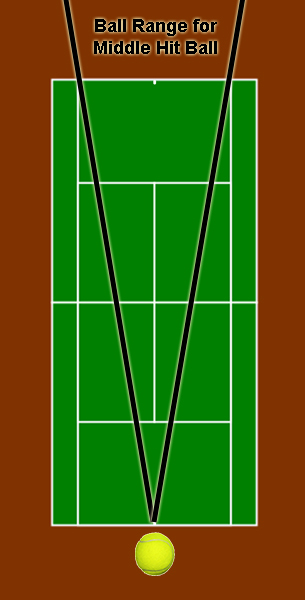 A ball hit down the middle has the same potential range to either side of the center mark. Because of this when you hit a ball to the middle of the court your positioning should be the middle of the court.